Woonsocket City Hall is located at 169 Main Street, Woonsocket RI 02895; phone: 401-762-6400. The early history of Woonsocket is inseparable from that of the towns of Cumberland and Smithfield, from which it was formed. The Smithfield part of Woonsocket was originally a part of Providence, one of whose early proprietors was Thomas Arnold, who died in 1674. His estate was divided by the town council of Providence among his widow and five surviving children. This included lands which later became part of Smithfield, and, ultimately, Woonsocket through further subdivision. 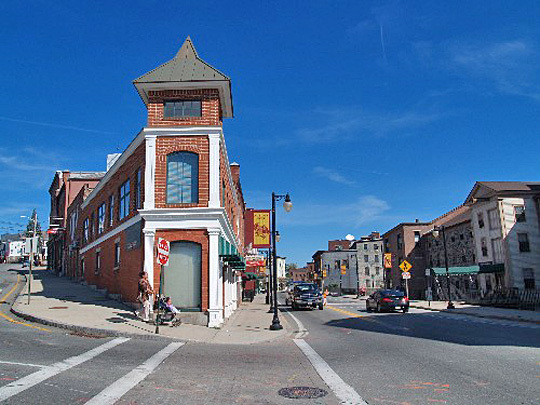 The Town of Woonsocket was incorporated in 1874, and due to rapid growth and diversity, was reincorporated as a city in 1888. Under the city charter Woonsocket was divided into 5 wards, each of which was entitled to elect one alderman and three councilmen. These, along with the mayor, formed the top level of administration for the city. The first mayor was George H. Grant. The first aldermen were George M. Welles, Richard Barnett, John J. Heffernan, James E. Cook and George H. Miller. Richard M. Bayles, editor, History of Providence County, Rhode Island, W. W. Preston & Co., New York, 1891.